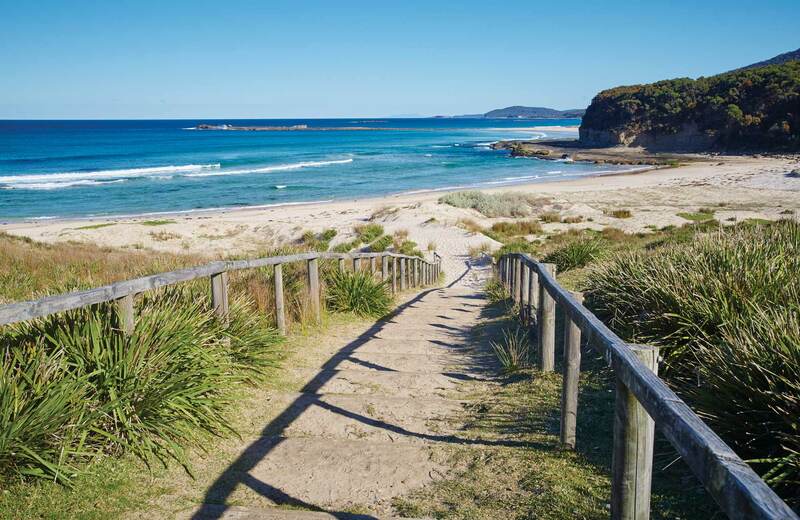 Why not book your own beach cabin or cottage at one of the many national parks on NSW's sparkling coast. Nestled between rainforest, river and beach, Woody Head cottages and cabins are perfect for an idyllic North Coast getaway. Heading south, you're spoiled for choice at Murramarang National Park near Batemans Bay. Choose from Depot Beach cabins, Pebbly Beach shacks or Pretty Beach cabins, where water, wilderness and wildlife await. Spend your days swimming, surfing, walking or whale watching (May to November), or just savour the serenity. Go on, go coastal.